Our standard batch preformers are built and designed to handle various compounds from the softest adhesives to the hardest flexible magnet compounds. 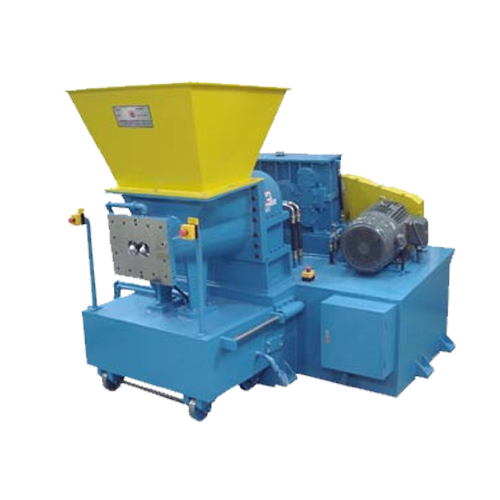 The chamber to screw ratios provide a unique combination to evacuate compound from the feeder in fast and self cleaning manner. In over 25 years of building taper screw batch preformers we have optimized the screw design to achieve high extrusion outputs with maximized cooling. The screw configuration and flight to bore clearances ensures the best compound extrusion is achieved. Our heavy duty design sets us apart from other manufacturers in the market. Kneader uses only quality bearings, gear reducers and motors. © 2019 Kneader Machinery USA, LLC. All Rights Reserved.